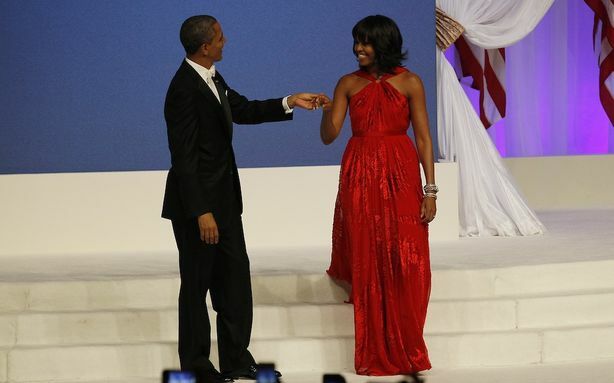 First Lady Michelle Obama played her cards right by choosing a gorgeously textured ruby colored chiffon and velvet gown complete with handmade embellishments by designer Jason Wu. Wu was also the man of the moment four years ago but this time the compliment is much more endearing and honorable. Jimmy Choo was also in the spotlight as the footwear of choice. 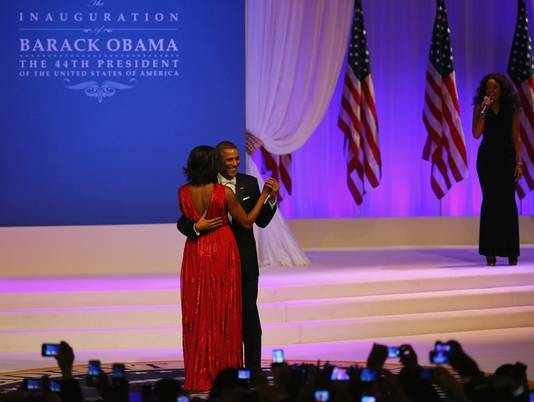 There was so much expectation when it came to the inauguration gown as names like Carolina Herrera and Naeem Khan were consistently tossed around but ultimately Jason Wu came out on top and judging by from early opinion polls, it looks like he deserved a second go round.